Imagine my delight when I realized that acorns come in a lovely shade of green. They're even topped off with a beautiful little intricate hat. I guess I haven't been very observant all these years because I only remembered the little brown ones. Okay, now let's see what you're sharing today! 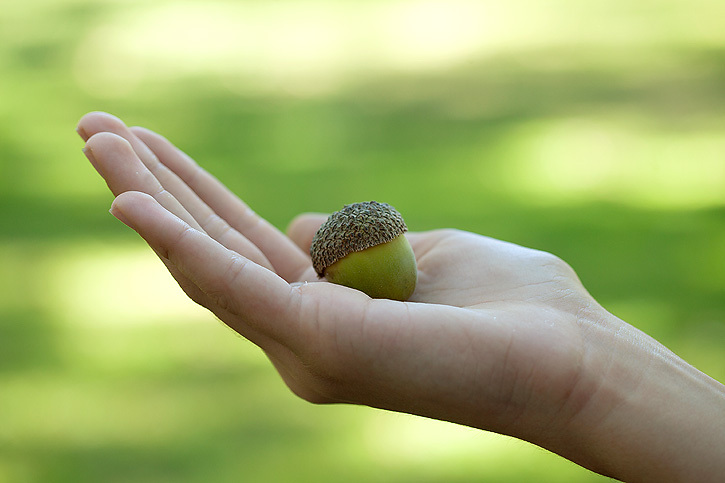 Acorns are just the sweetest thing, aren't they? Wonderful pics! Beautiful, Deb...and look how big that little guy grew! Love it. I love the photographs of your acorns, in your favorite color no less. Have a great weekend. Wow! They are gorgeous! The kids here would love those, especially the green and being so large. (although can't explain why precisely as i'm taken my all of them). thank you again for hosting. We rarely see acorns here, yet I love them and their little caps. I've not seen fat green ones like these. Love you photos, especially the second with the acorn close to the tree. Oh, how beautiful! Don't you love their little hats? Love these Deb, so pretty and simple. Have a great weekend. Beauty in the simplest form! 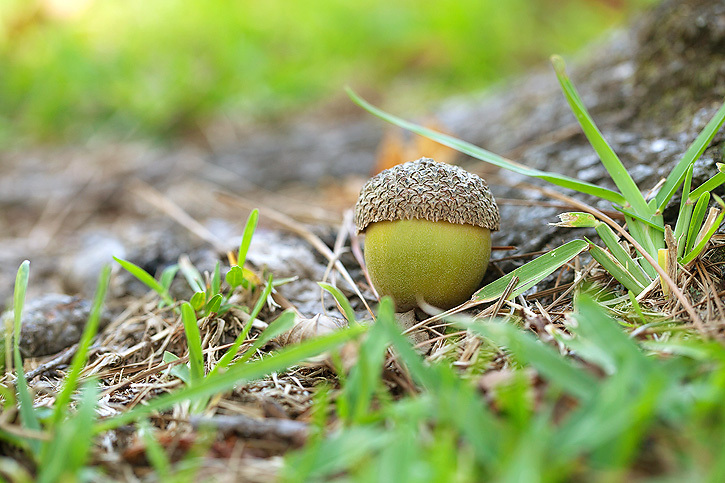 Those acorn pictures are simply stunning. I love how intricate the details are. Great macro shots! I've never seen green acorns either, but I love your photos of them! I might have to go find some acorns to photograph now. I LOVE that first shot! All of them are simple and beautiful. I am loving the first photo, I love them all but that one has great detail!! How exciting to find that Deb- LOVE IT!! This reminds me that I need to take photos of the acorns! And they make for some GREAT macros! Definitely a beautiful shade of green. Very nice, Deb! Thanks for hosting! Great, fantastic these seeds. I love these photos, especially the first, an impressive macro. Wow! 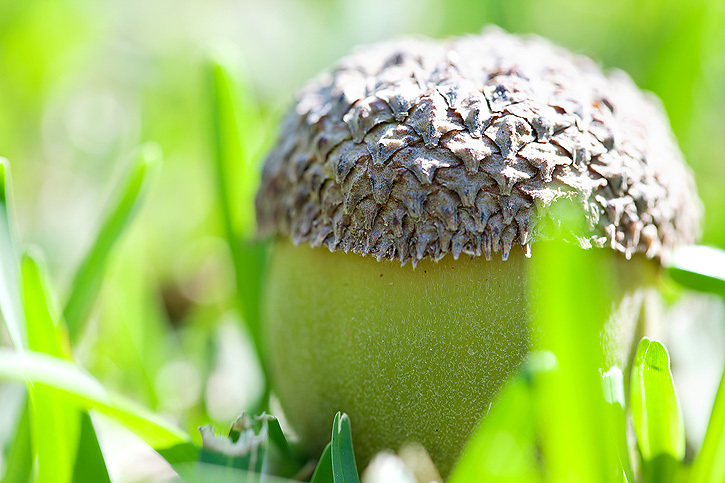 I've never seen an acorn in this way before. They are beautiful! I love acorns and the crunch they make on the sidewalk, I don't like getting bonked on the head by them!! Gorgeous pics, as usual! They are just so cute, really love your first one. Gorgeous shots - thanks for sharing and for hosting!! 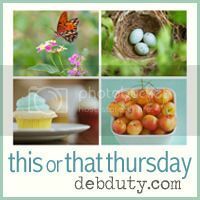 I love the shades of green in your shots - they're amazing! Love the details and the hat...so pretty! your first shot is A-mazing! what lens did you use?? Lovely captures - they are indeed different from the common brown ones we think of. But I am the only who thinks they look a little bit like the Green Pigs in Angry birds? The ones with the helmets that are so hard to kill?? Awesome photos! We have lots of green ones here! The squirrels are lovin' it! Linked here through A Rural Journal and so glad I found you. Love your photos! I need to find some before the squirrels stash the lot! They are a lovely green colour at this time of year. I love these. So gorgeous!! That last one is great. Those green acorns are so pretty! I use the caps for hats on dolls I make. This link up has really taken off! Wow! That last shot was amazingly tack sharp. Wow! Love the details! They almost look velvety soft! Beautiful photos! I don't think I've ever seen a green acorn before either. At least not THAT green. Wow! Awesome shots. Love the muted green. Nice. Love that first photograph!! the textgure on acorns is pretty cool. Its always interesting when we slow down to really check things out...Have seen acorns a millions times..but ever really look at them?? nope. Thats one thing I love about photography.. capturing the details. oh what great pics!! I especially love the last one. I'm been trying to figure out what to do for the shades of autumn challenge. Hopefully I'll get something before tomorrow. love the fruit of the mighty oak! I also love acorns. I will have to have a closer look at the ones around my neighborhood, the hat on yours seem to be so intricate. Beautiful photos. I have to say I don't think i've seen green acorns or ones that big here but then maybe I'm just not looking close enough either! Beautiful! 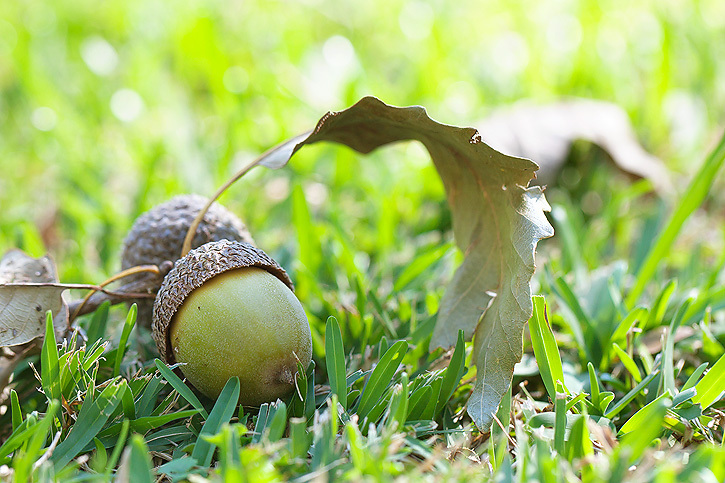 I love acorns but we don`t have them here . . .
Oh I love acorns, they're always so cute looking! Great find for the green theme, thanks for taking part in the Shades of Autumn Photo Challenge! For whatever reason I can't find our acorns, so I'm totally digging yours! :))) Great shots Deb. This is my first link up...:D I'll be back for sure! Love the crispness of your acorns! those look like some big acorns!! love the detail! That is a HUGE acorn! Love that first shot! What absolute beauty in a simple acorn. I'm visiting for the first time and absolutely love this and that thursday! i'll link up next week. I found you via Fabulous Friday linky. Happy weekend! Lovely captures of some little treasures! I really want to participate in the Shades of Autumn link up! Your photos are gorgeous. I have to get out and find me some GREEN! I'm sure that won't be TOO hard! Wow, I'm impressed I love your last shot. Love these shots! That a big ol' acorn! I don't recall seeing any green ones myself... now you have me curious! Who knew? lol. What beautiful captures. 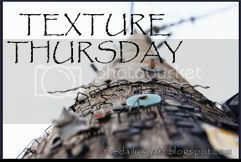 Thanks for linking up to the Shades of Autumn Photo Challenge! I too am a fan of the little acorn hats, lol.